Pain Reduction – tight or stiff muscles can be a significant cause of pain so massage that relaxes and improves the tissue quality can help you in leading a pain-free lift. Athletic Performance – muscles that are unrestricted, supple and pain-free are going to perform better than tight, stiff and aching muscles. Post-activity Recovery – massage can help to speed up recovery after sporting activity by helping to improve circulation and lymphatic drainage to flush out waste products of exercise and keep the muscles supple and relaxed. Injury Prevention – if muscles and tendons are healthy and in full working order then they will be more prepared to deal with the punishment of your training and the stresses and strains of everyday life. Psychological Benefits – a sports massage can help relax the mind, or invigorate you depending on the style of the massage. Tight or stiff muscles can be a significant cause of pain so massage that relaxes and improves the tissue quality of the muscles can help you in leading a pain-free life. If your muscles and tendons are healthy and in full working order then they will be more prepared to deal with the punishment of your training and the stresses and strains of everyday life. Muscles that are unrestricted, supple and pain-free are going to perform better than tight, stiff and aching muscles. Massage can help to speed up recovery after sporting activity by helping to improve circulation and lymphatic drainage to flush out waste products of exercise and keep the muscles supple and relaxed. A sports massage can help relax the mind, or invigorate you depending on the style of the massage. Sports massage has a revitalising, refreshing effect and contributes to overall wellbeing if performed on a regular basis. 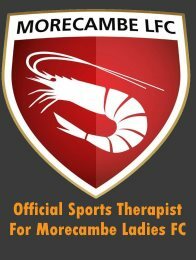 A sports massage is a form of deep tissue massage that works to restore function, relieve pain and optimise performance of the tissues being worked on. It entails a combination of different massage techniques such as deep tissue massage, trigger point massage and myofascial release. It is aimed at restoring function and optimising performance of the soft tissues that are being worked on. 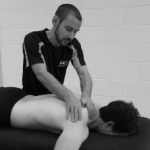 While a sports massage can be part of your treatment for a specific injury, it is also highly recommended as part of a regular, general maintenance routine. Sports massage is not just for elite athletes. Whether you are a weekend warrior, a full-time pro or anything in between, sports massage can provide huge benefits. Sports massage is not just for those participating in sports however. Anybody suffering from pain and discomfort caused by the day-to-day stresses and tension of work and life will benefit greatly from a course of sports massage. If you have a specific injury that needs assessing and diagnosing, my sports therapy services may be more appropriate.